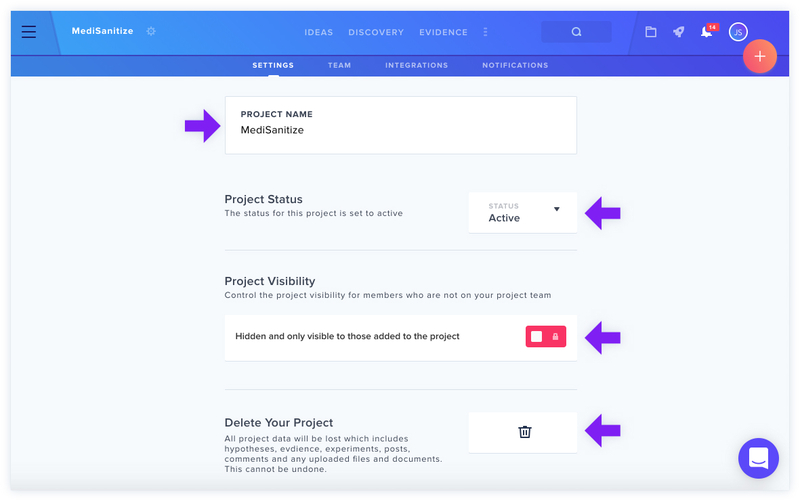 In Project Settings, you can change your Organization's name, update Project status, set visibility and delete your Project. To find Project Settings, click the three-line icon in the top left corner to open the left side navigation. Next, find your project in the list and click the Gear Icon next to it and click Settings at the top. NOTE: Deleting a project cannot be undone and all the attached data and files will be lost! Consider setting your project status to Archived instead.